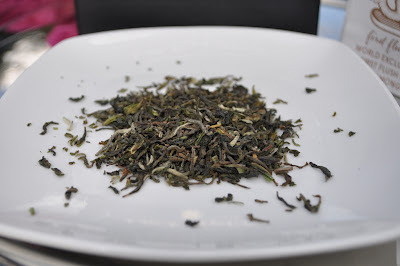 Darjeeling tea is one of those famous teas I’d been meaning to learn about for some time. It’s referred to as the ‘champagne’ of teas and on trying teapigs ‘Darjeeling Earl Grey’, I’d wondered if it was the Darjeeling that I’d liked or whether I’d been converted to Earl Grey! 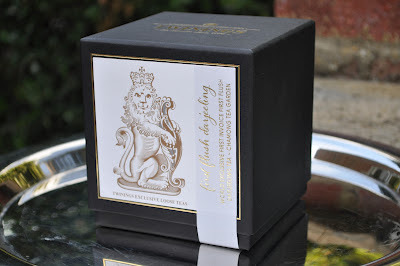 Needing to know more, I was delighted when Twinings sent me a box of Darjeeling First Flush Tea for a special birthday of mine! So, like Champagne comes from Champagne in France, Darjeeling comes from – er, Darjeeling. The name is a Tibetan translation, which means 'Land of the Thunderbolt" and this probably has something to do with its position under the Northern Tropics in the Indian State of West Bengal. Nestled amongst the Southern Himalayas and around 6,000 feet above sea level, the altitude means that Darjeeling tea grows at a slower rate before jumping into life around February and March. Think of S.L.O.W Living (see book in recommended items) where good things come to those who take their time and connect with nature. Well-known for their complexity and "flush" classifications, springtime is Darjeeling’s "first flush" and the most sought after (lucky me!). 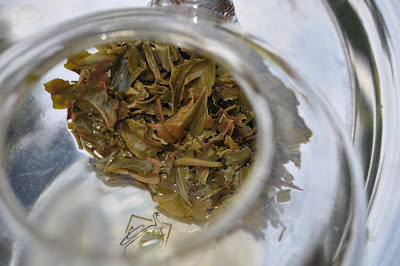 However, the tea’s plucked at three or four different sessions over the summer and each one has it’s own unique flavour. It’s also worth noting, the tea’s plucked by hand because machines can't cope with the sometimes-steep mountain inclines of the Darjeeling Tea region. This kind of time and expertise only adds to the quality. Compared to other tea producing areas, the Darjeeling region is fairly small and the annual production rate comparatively low. However, the quality and taste of the tea means it's very much in demand and this only drives the prices higher. Of course Twinings would have a hand in a prestigious tea like the Darjeeling - they’ve been a leading British tea brand from as far back as 1706 when Thomas Twining sold tea from his coffee house on London's Strand. This later became the Golden Lyon, which was London's first tearoom. Now there’s a trend to start! "In a time when coffee was king, one man, Thomas Twining, went against the tide to share his love of tea. His passion turned a little-known drink into the nation’s favourite hot beverage." Back in the day, Twinings promised to sell the finest varieties of tea and went on to gain fans as esteemed as Jane Austin. 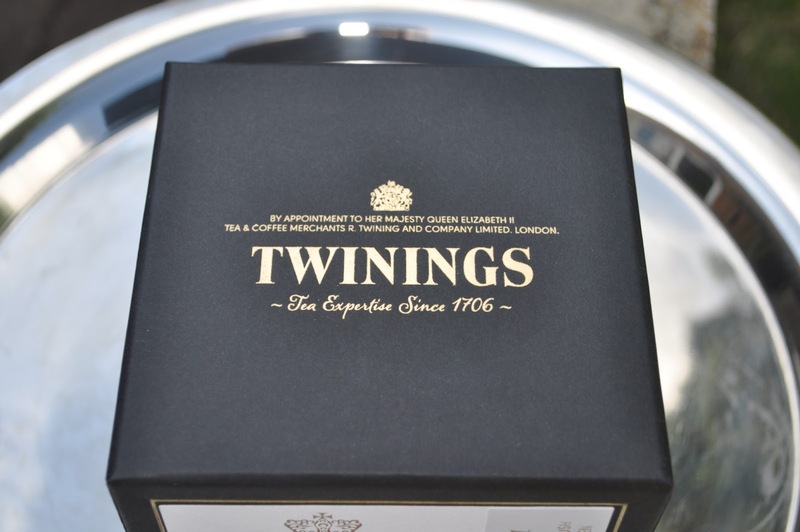 Now, there are references to this relationship with English literature in the new best-selling 'Fifty Shades' books, where the heroine Anna Steele is a fan of the English classics and only drinks Twinings English Breakfast Tea. It’s amazing how Twinings have always been at the forefront of the market and their logo is the world's oldest in continued use! People love the classic English style of the logo and knowing the company’s been around so long builds your sense of confidence in them as a brand. With all this in mind, I should have known they sold these magnificent boxes of whole leaf tea! Not to mention they've got some rather lovely whole leaf silky pyramid teabags now (I will post about this at a later date along with my quest to find the ultimate Earl Grey). 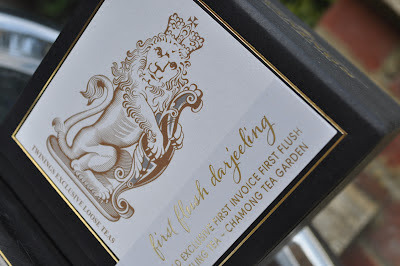 The particular box Twinings sent me for my birthday was the Darjeeling First Flush Tea from the Chamong Estate. Chamong is an hour west of Darjeeling and a place associated with serenity and peace. They also produce some of the finest and award-winning teas in the world. To make the perfect cup, Twinings suggest only letting the water reach a rolling boil and using one teaspoon of tea per cup, brewing for around three minutes until the water is a glorious champagne colour. I think some of the other “flushes” are allowed to become a richer caramel colour, but the first flush is different in this way. I am delighted with this tea - it's smooth with a surprisingly peachy flavour. There's also a refreshing grassy sensation, probably not unlike the Spring morning it originated from! This is no coincidence, according to the Twinings website these flavours are completely attributable to first flushes. I think Darjeeling tea is going to be a favourite of mine as it is to so many others. It’s early days though and I must compare this first flush against the other types at some point. 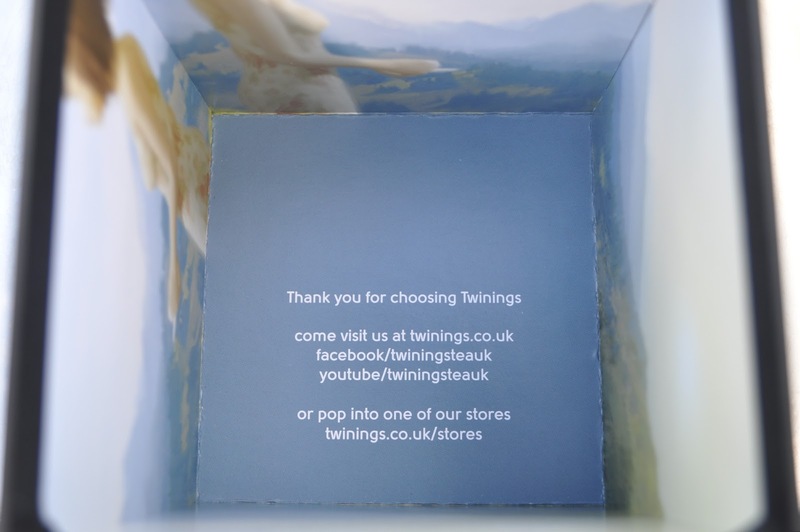 I'm so grateful to Twinings for this lovely gift and would definitely recommend it. Thank you! Happy drinking! Sam, the Mayoress!